Cement as an active Manufacturer, Supplier, Dealer, Distributor, Trader and Seller etc. (*Importer/Exporter/Service Provider). 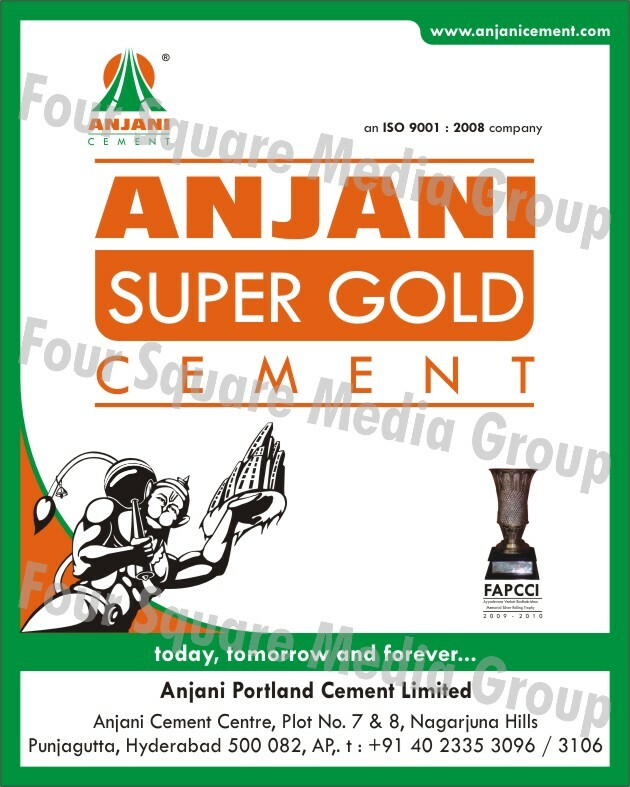 Address- Head Office: Anjani Cement Centre, Plot No. 7, 8, Nagarjuna Hills, Punjagutta Hyderabad 500082 A.P.